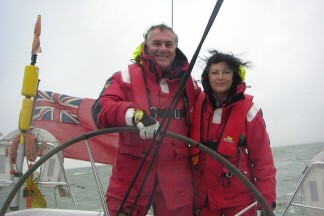 The company is run by Maria and David McCarthy, both experienced sailors who have many years of combined experience in the world of yachting and corporate entertaining. The company specialises in corporate sailing events, stag and hen weekends and racing, so please call us for a quote or a chat about your requirements. Alternatively, if you have a specific enquiry please fill in your details below and we’ll get back to you.